Peak is a student-led Wednesday night devotional. That started on Harding’s campus about 35 years ago. When Peak first started, it had tremendous success. Under the direction of The Original Rock House’s College and Outreach Minister, Todd Gentry, and Rock House interns Daylan Moore and Carson Gentry, the ministry was revived. 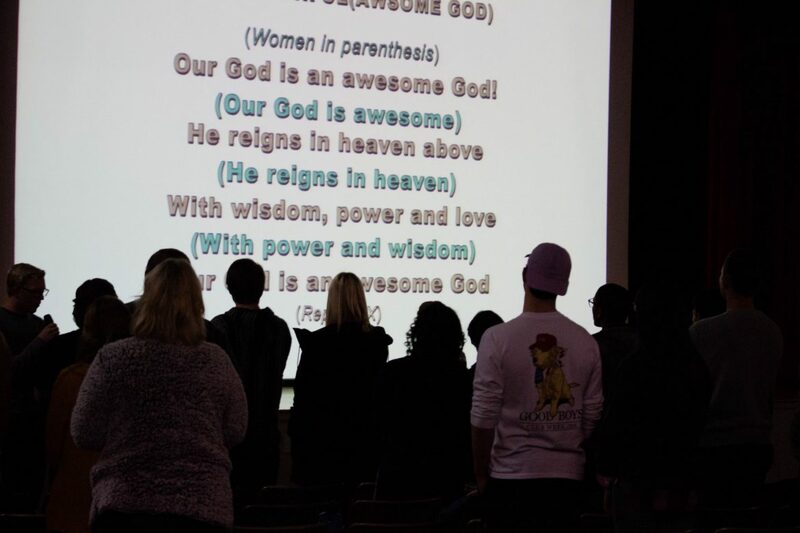 The Rock House supports over 25 home devotional groups on Wednesday nights, but when beginning plans for the spring semester, they still felt they were not reaching everyone. Carson Gentry said they intentionally moved Peak to an earlier time so their home devotionals would not be affected and also in hopes that the groups they were not reaching would be more attracted to it. Moore said Peak, also known as “Peak of the Week,” is designed to highlight what God has done through the first part of the week and encourage students to get through the end of the week. “If I had to describe who we are at Peak in one sentence, I would say that we are a group of students seeking to encounter God for the sake of the world,” Moore said. Junior Savannah Stripling attended the first week of Peak and said she was impressed with what she found. Stripling said the most encouraging part was how the passion in the hearts of the people and leaders was so evident. According to Carson, through the first two weeks, Peak has seen strong success. The number of people in attendance doubled after the first week and is only expected to grow. “People are our greatest advocates of what we are doing and I am pretty confident that people will come back and bring people with them,” Carson said. The Peak ministry meets every Wednesday night at 5:45 p.m. in the Administration Auditorium.